Last week EPA released its new proposed greenhouse gas regulation – the Affordable Clean Energy rule. This is the Trump administration’s proposal to replace the Clean Power Plan with a narrower regulation aimed only at heat rate improvements at coal plants. Read here for a summary of the ACE rule and how it differs from the Clean Power Plan. The Council believes the ACE rule does not go far enough to curb the power sector’s emissions in part because it does not take into account the full range of readily available technologies proven to reduce emissions at ever decreasing costs. 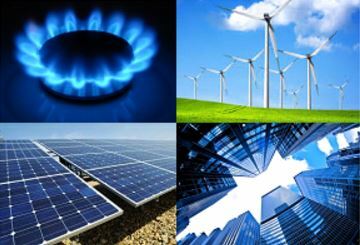 The Council’s core sectors of energy efficiency, natural gas and renewable energy have been proven to provide the broad portfolio of technologies necessary to achieve rapid emissions reductions while simultaneously growing the economy. 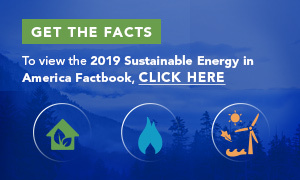 The findings of the 2018 Sustainable Energy in America Factbook show that total US GHG emissions are at a 26-year low, while the economy has grown 15% in the last ten years and primary energy consumption has declined 1%. US power sector emissions are on a steep decline, ending 2017 at 28% below their 2005 peak. The broad portfolio of energy efficiency, natural gas and renewable energy have enabled these dramatic reductions in emissions, while keeping energy costs low and creating over 3 million jobs across the country. As the EPA and others move forward on developing policies to reduce emissions and combat climate change, the Council will continue to advocate for these policy principles on behalf of the energy efficiency, natural gas and renewable energy sectors. About the Author: Carolyn Sloan is a Manager of Federal Policy at the BCSE.